Recent findings may give credence to ca. 1667 as her date of arrival. The lyrics of the hymn "Reina de Cavite" was taken from a poem entitled “Himno a la Virgen de Cavite”. This was written by the Jesuit Fr. Tomas de Andrade, a former rector of the Colegio de Cavite. He was assigned in Cavite between 1669-1689. We may assume that he wrote this poem during his stay in Cavite. There must have been a strong devotion to the Virgen de Cavite so that by his time, poetic lines were written in Her honor. Photo taken by Danilo Acosta Lumabas on the day of the Canonical Coronation. The answer came out directly from no less than Bishop Reynaldo G. Evangelista of the Diocese of Imus. 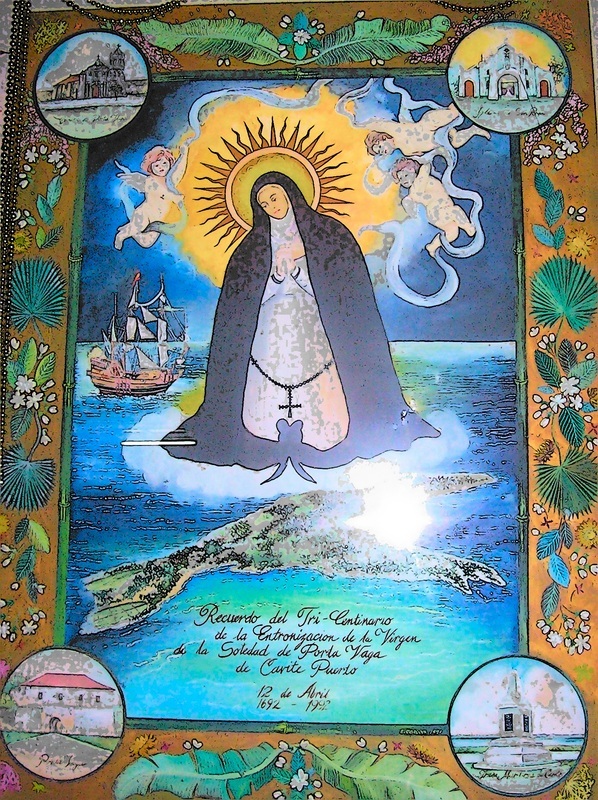 Twice he emphasized that Cavite in under La Virgen de la Soledad's patronage and protection. 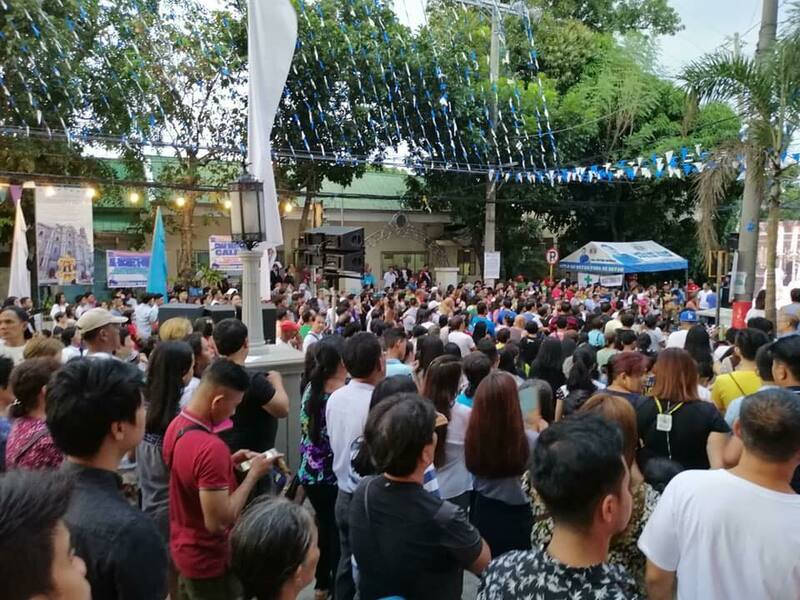 "... ang Birhen ng Soledad ng Porta Vaga bilang Patrona ng buong lalawigan ng Cavite...", it gave us the chill mixed with vindication as we listen and slowly digest how the Bishop of Imus cemented the title of the Mourning Virgin of Solitude as the Reina de Cavite, through his Annuncio. I have to admit that the entire event is quite a surprise for me. Everything is restrained. From the restrained floral arrangements, open-door policy and deliberate non-issuance of so-called VIP invitations, no super VIPs. Everybody is treated equally and respectfully. The restrained attitude against flambouyance is deliberately done to let our eyes focus on the main reason of the celebration. The moving scene of kids from the grassroot families offering the Canonical Crown is a breakthrough, a solid proof on how a church should behave towards the poor and the marginalized, to use the funds directly for them, instead of channeling millions to produce flambouyant events and flaunt one's self. 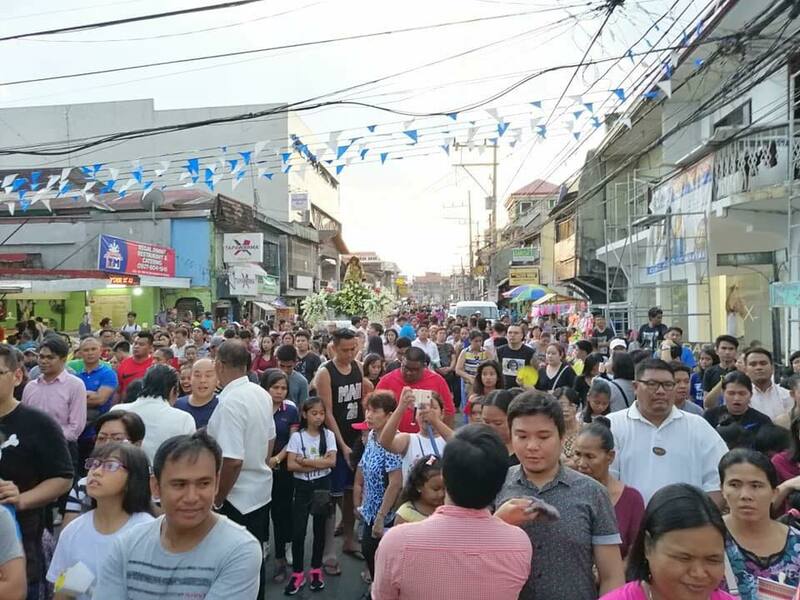 As a santero, we are already used of witnessing events like this, but the ceremonies yesterday is different: santeros, well yes they were amazed; but the Cavitenos are emotional. Many parishioners were experiencing teary-eyed to crying feelings. I can only conjecture, but the restrained outburst of emotions from the devotees yesterday is so infecting, as everybody witness this rite. A joyous celebration expressed through tears, so to speak. 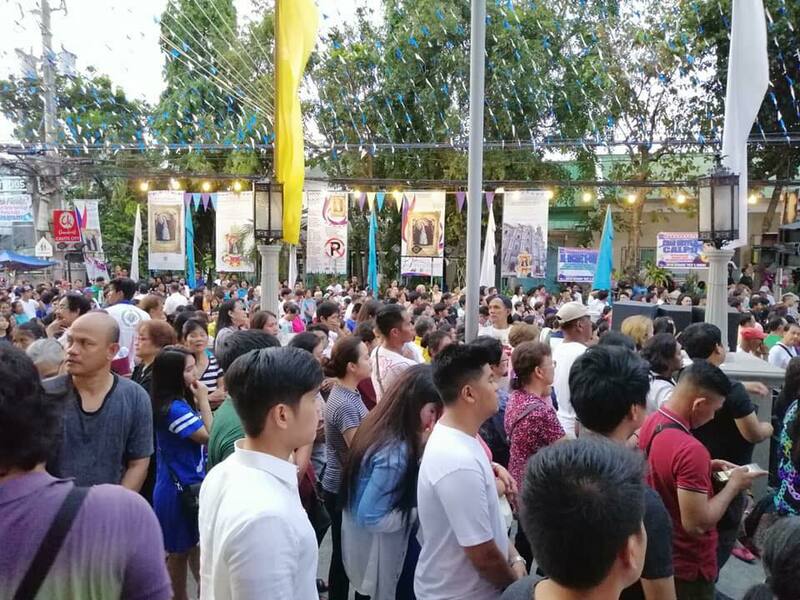 But there are more to expect outside, as Cavitenos who can no longer be accommodated inside the church feels contentment from the huge screen, as they were glued to the scenes transpiring inside. Silence ruled outside. 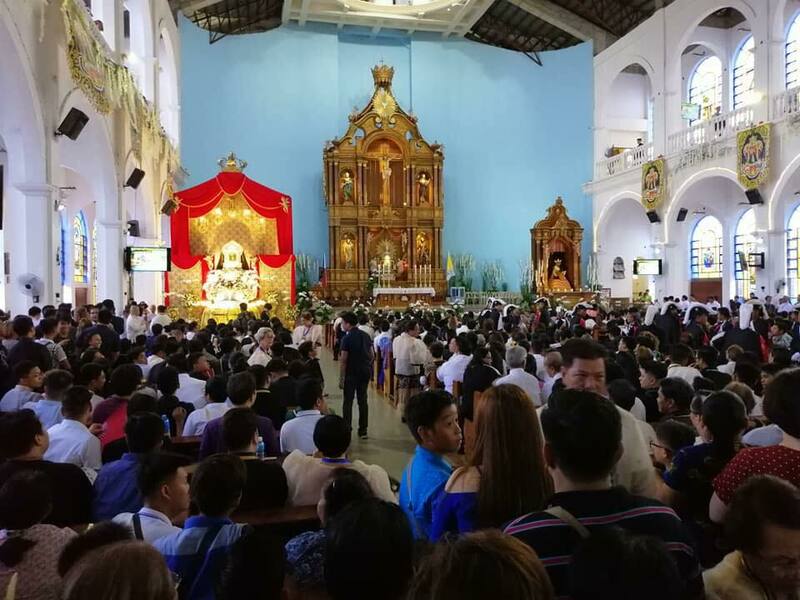 The Canonical Coronation to La Virgen de la Soledad de Porta Vaga will serve as an indelible ink to correct past mistakes and to forestall nasty comments that hurted the very psyche of many Cavitenos. As one gazes her enigmatic image, one can't help but agree: she is truly the Reina de Cavite.